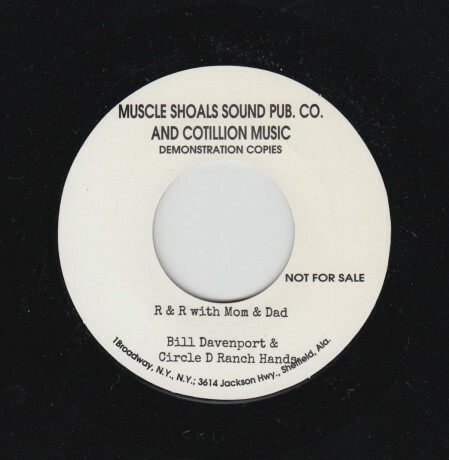 BILL DAVENPORT & Circle D Ranch Hands. R & R With Mom & Dad/ Bill Inst. N.G. Primitive Rockabilly, originally issued on the West Virginia Wayne label. This repro is a mock up of an Acetate and has a truly inept Instro flip side, a kind of terrible version of "Steel Guitar Rag". repro 7"